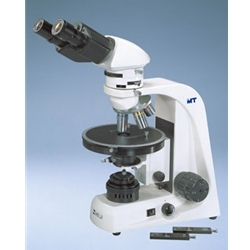 The Meiji MT9300 polarizing microscope provides high quality optics with a full-featured polarizing microscope. All MT9000 polarizing microscopes come standard with 1/4 wave plate, Bertrand lens and first order red plate. 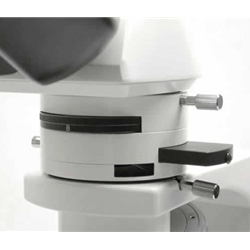 Optional Senarmont compensator and quartz wedges are available. 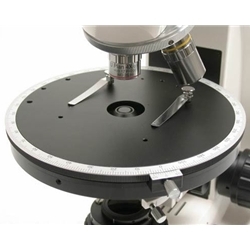 The microscope stage is a ceramic coated, 360 degree rotatable fully indexed stage with vernier and stage clips. 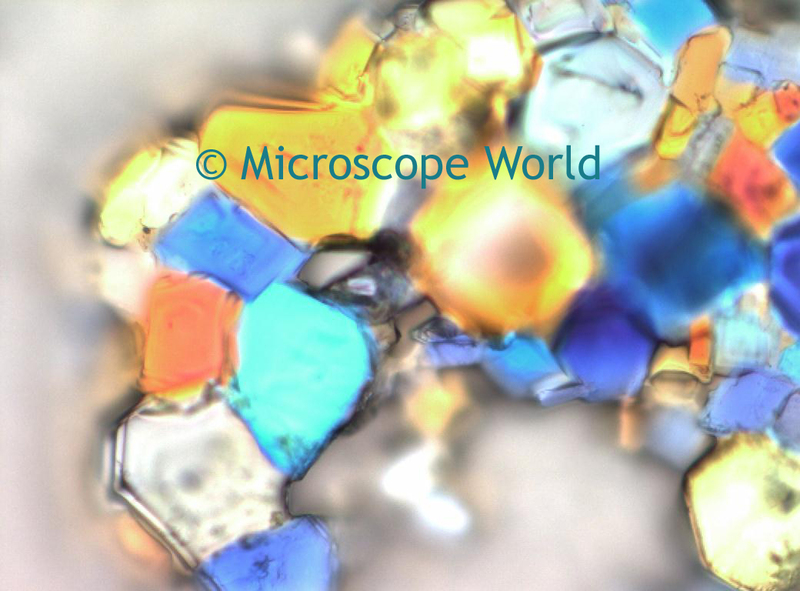 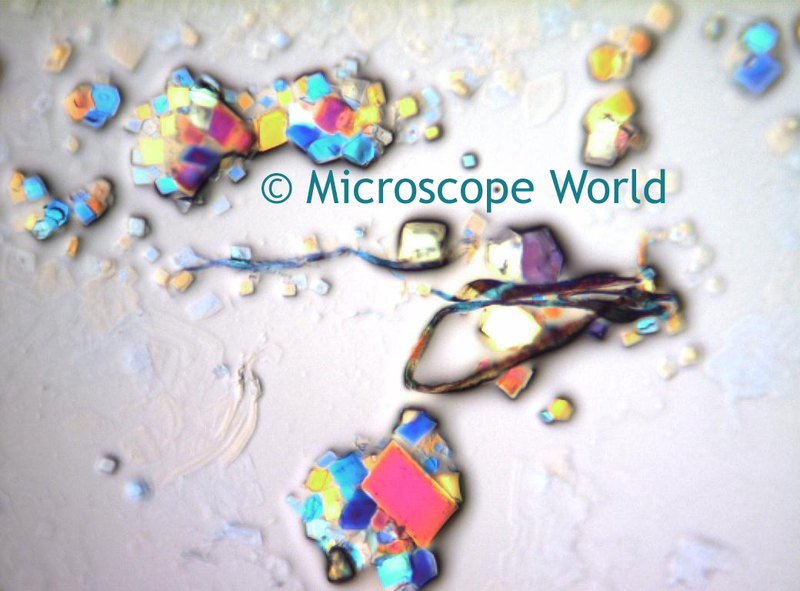 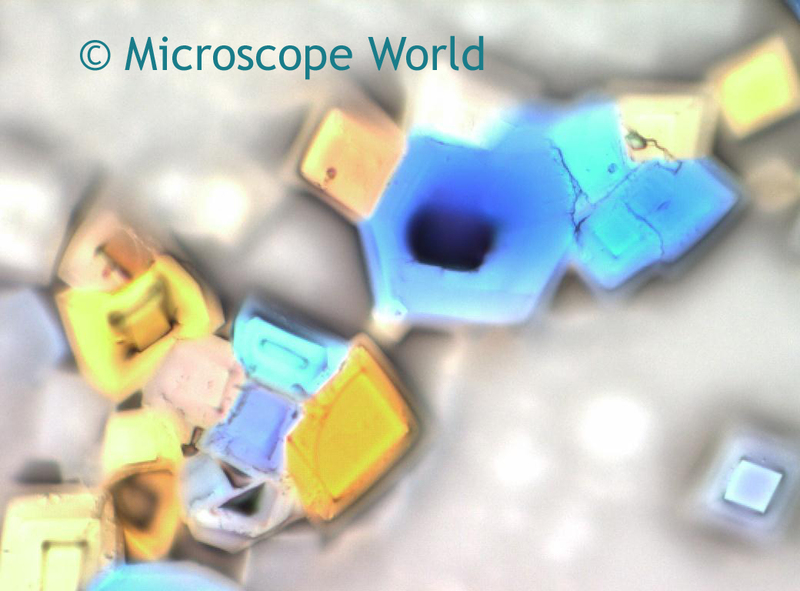 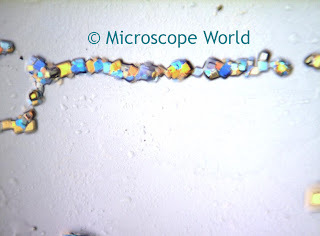 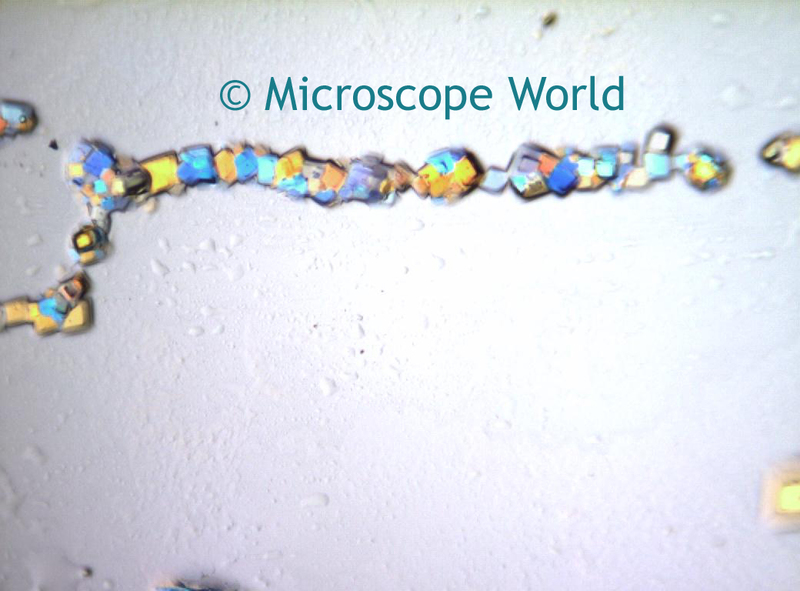 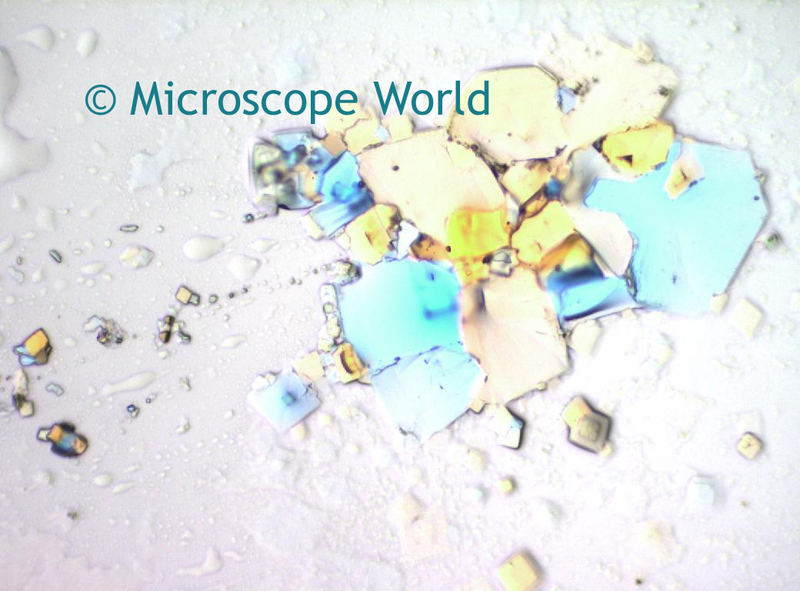 Litric Acid captured at 100x with the MT9300 polarizing microscope using the Lumenera Infinity 2-1 CCD microscope camera. 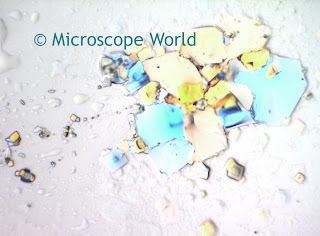 Litric Acid captured at 100x magnification, same setup as listed above. 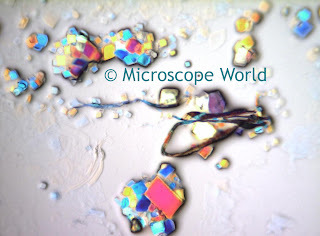 Litric Acid captured at 200x magnification, same setup as listed above. 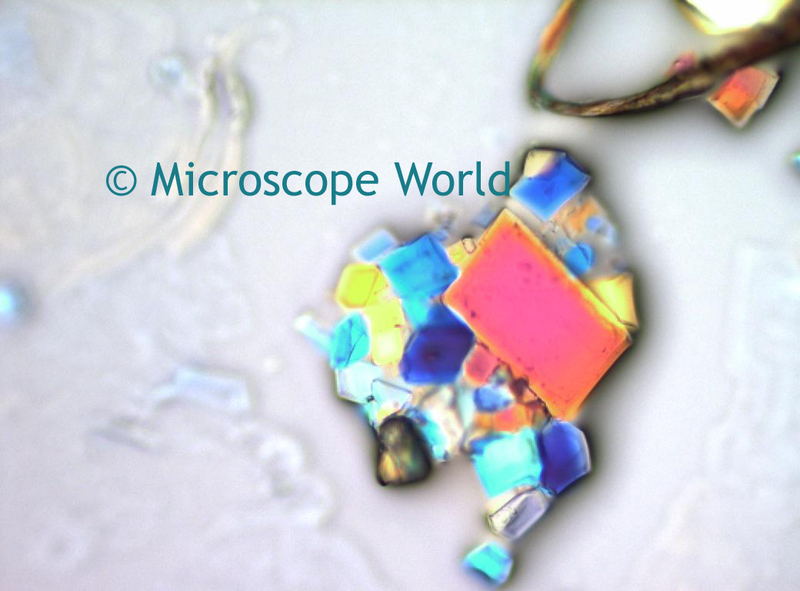 Litric Acid captured at 400x magnification, same setup as listed above.